Represents mainly foreign, often Danish, clients. Advises on business law, corporate law, and private international law. Lise advises her clients mainly on business and corporate law, and represents them in commercial disputes in court. Her clients are active in several industries, including the textile industry, the packaging industry, the sports industry and banking. Many of Lise’s clients are Danish. She assists these clients in the setting up of their business in the Netherlands, with advice on how to establish and structure a company here. She also drafts all types of commercial contracts, such as distribution agreements, agency agreements, joint venture agreements, and general terms & conditions. Her clients often keep coming back for “legal maintenance”, or when a disagreement with a contracting party arises. She has many clients who have been with her for years. Private international law is a recurring topic in Lise’s cases, for instance when she assists clients in the recognition and enforcement of foreign judgments, or advises on the jurisdiction of the Dutch courts. Lise also has experience in acting as arbitrator assigned by the Danish Institute of Arbitration (Copenhagen Arbitration). Lise read Danish law in Copenhagen. She graduated in international law (1993) and Dutch law (1998) at the University of Amsterdam (Universiteit van Amsterdam). She worked for the private law faculty of the University of Amsterdam, the Court of Appeal in The Hague, and the Attorney General’s Office. 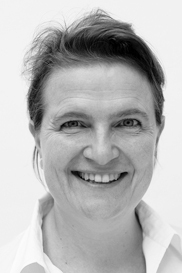 Lise has been registered as a Dutch lawyer since 2003 and a partner of Schutte Schluep Heide-Jørgensen since 2006. In 2015, she finished the post-academic specialisation course Corporate Law at the University of Leiden. Lise is Danish. Besides her degree in Dutch law, she has a Danish legal background. She works in Dutch, English and Danish, and reads German, Swedish and Spanish. Lise chairs the Danish Dutch Business Club in the Netherlands (DDBC) and is a member of the Dutch Lawyers Committee for Human Rights, the Dutch Association of Procedural Law (NVvP), and Danske Advokater.